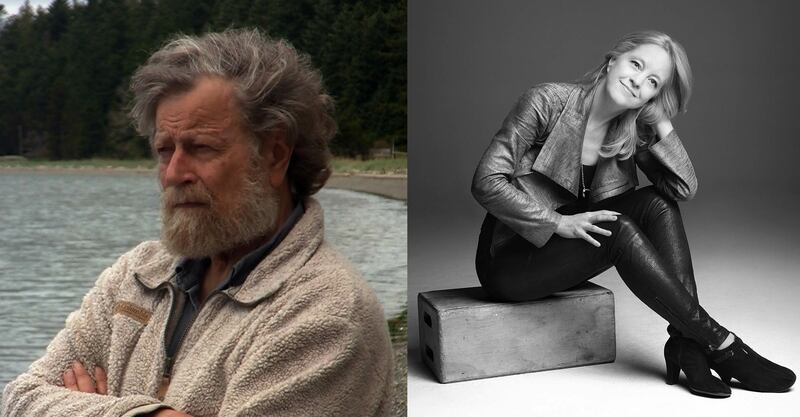 Morten Lauridsen and Maria Schneider will be presented the 2016 ASCAP Foundation Life in Music Award. NEW YORK, NY--(Marketwired - November 17, 2016) - The ASCAP Foundation announces that two innovative composers will receive The ASCAP Foundation Life in Music Award: groundbreaking jazz composer and bandleader Maria Schneider and acclaimed choral music composer Morten Lauridsen. They will be celebrated at the 2016 ASCAP Foundation Honors, to be held on Wednesday, December 14. This invitation-only event takes place at the Appel Room and Ertegun Atrium in Jazz at Lincoln Center's Frederick P. Rose Hall, Broadway at 60th Street, New York City. The ASCAP Foundation President Paul Williams said: "The ASCAP Foundation is honored to recognize Morten Lauridsen for his singular compositions in choral music, and Maria Schneider for her inventive works in classical and jazz. Both embody the creative excellence that is at the heart of the Life in Music Award, and we look forward to having them with us on December 14." The Life in Music Award is presented by The ASCAP Foundation to an ASCAP writer member for his or her outstanding accomplishments as a composer, songwriter, performer, arranger or vocalist in any genre. Previous award winners include Johnny Cash and June Carter Cash; Jesse Winchester, the songwriter, musician and activist; and Horace Silver, the jazz pianist, composer and arranger. Maria Schneider's music has been hailed by critics as "evocative, majestic, magical, heart-stoppingly gorgeous, and beyond categorization." Founder of her 18-member Maria Schneider Orchestra, she has been honored with 12 Grammy nominations and five Grammy awards for her work in the jazz and classical categories, and in 2016 for her collaboration with the late David Bowie. She is also known for her pioneering work in artist funding and as a fierce advocate for creators' rights. Schneider's album, Concert in the Garden (2004), was ArtistShare's first crowdfunded release, and made history as the first recording to win a Grammy with internet-only sales. As an outspoken critic of digital piracy, Schneider testified before the US Congressional Subcommittee on Intellectual Property about the impact of music piracy in 2014. This year, she was invited to participate in the US Copyright Office roundtables on this same subject. She is a founder of the advocacy organization and campaign MusicAnswers.org. In 2012, Schneider's alma mater, the University of Minnesota, presented her with an honorary doctorate, and in 2014, she received an ASCAP Concert Music Award as a result of her 2014 Grammy for Best Classical Contemporary Composition for her work Winter Morning Walks. She has also received multiple honors from the Jazz Journalists Association and the DownBeat and JazzTimes Critics and Readers Polls. Schneider is featured on the cover of the December issue of DownBeat and was just announced as the winner of its 2016 Readers Poll Composer, Arranger and Album of the Year Awards for her recording The Thompson Fields. Morten Lauridsen received the National Medal of Arts from the President in a White House ceremony in 2007, "for his composition of radiant choral works combining musical beauty, power and spiritual depth that have thrilled audiences worldwide." Lauridsen's compositions have been recorded on more than 200 CDs, five of which have received Grammy Award nominations, including O Magnum Mysterium by the Tiffany Consort, A Company of Voices by Conspirare, Sound the Bells by The Bay Brass and two all-Lauridsen discs titled Lux Aeterna by the Los Angeles Master Chorale. His eight vocal cycles and two collections-including Les Chansons des Roses, Mid-Winter Songs and A Winter Come, are featured regularly in concert by distinguished artists and ensembles throughout the world. Lauridsen was named an "American Choral Master" by the National Endowment for the Arts in 2006. As a professor of composition at the University of Southern California Thornton School of Music for 50 years, Lauridsen has held residencies as guest composer/lecturer at over 70 universities. He has received honorary doctorates from Whitman College, Oklahoma State University, Westminster Choir College and King's College, and University of Aberdeen, Scotland. In 2014, Lauridsen presented a Master Session at the annual ASCAP "I Create Music" EXPO in Los Angeles.